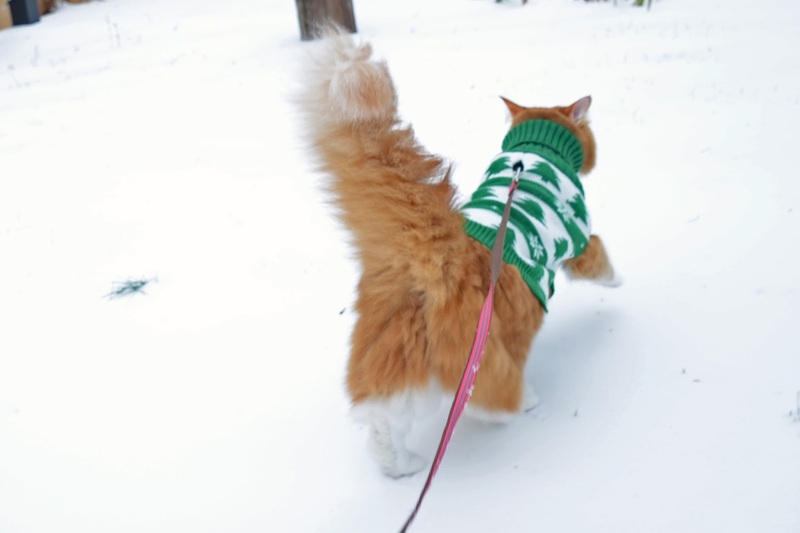 Whenever it snows, I like to take the cats out on their leash to let them check it out. And this time they had their sweaters! Jeeves had never been out in the snow before. I always thought he would get too cold and hate it, but he actually didn't mind it! Cloud's goal was to chew every piece of grass sticking up through the snow. Jeeves got so silly he even rolled in the snow! Good thing he had his sweater on! They all had a lot of fun and didn't want to come in!